Leading media company Axel Springer AG today launched autobild.com.cn, the Chinese online edition of AUTO BILD. Axel Springer is one of the largest publishers in Europe, and AUTO BILD is one of the world’s most popular automobile publications by market and circulation. 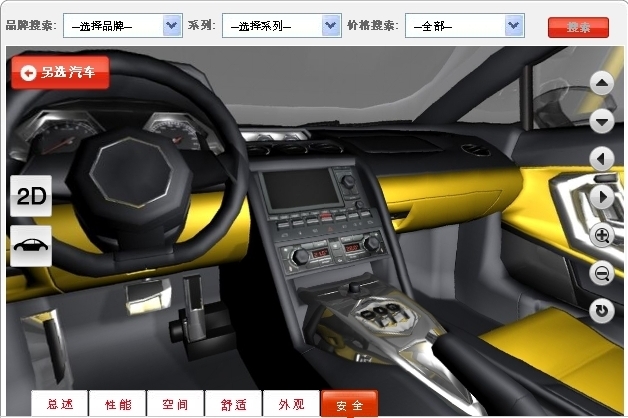 Outblaze is the technology partner for AUTO BILD China, and we are developing some nice web toys for this project, some of which are already available on the newly launched portal. 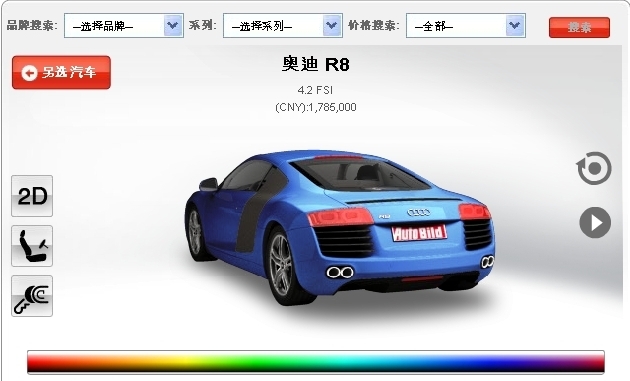 autobild.com.cn is a Chinese Web 2.0 driven platform with rich media, social networking and social media services all powered by Outblaze. The primary design goal for this portal was to provide a rich online media experience for automobile enthusiasts in China. Chinese Internet users are increasingly tech-savvy, and static images simply don’t let enthusiasts really explore a car. This meant that Outblaze had to provide solutions not just for standard video content, but also for interactive 3D animations that support user customization. After all, if you’re looking through a database of cars, wouldn’t you want to be able to view them from multiple angles and in any shade conceivable? 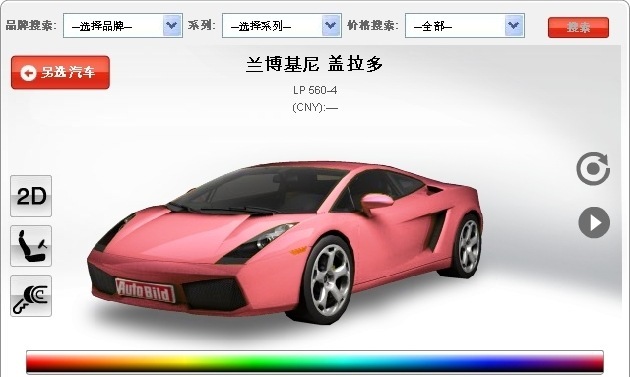 Consider how stylish the Lamborghini LP 560-4 looks in pink. As well as car exteriors, the site also allows you to look around inside 3D interiors – especially useful if you are concerned about leg and head room. Web sites providing 3D viewing and manipulation of products offer better insight to consumers looking to decide on a purchase, because they let the user get a better feel for the product. And the advertising potential for any web site skyrockets when you give users customization options. Of course, it wouldn’t be a car portal without plenty of video content, powered by the award-winning OutblazeVideo engine. 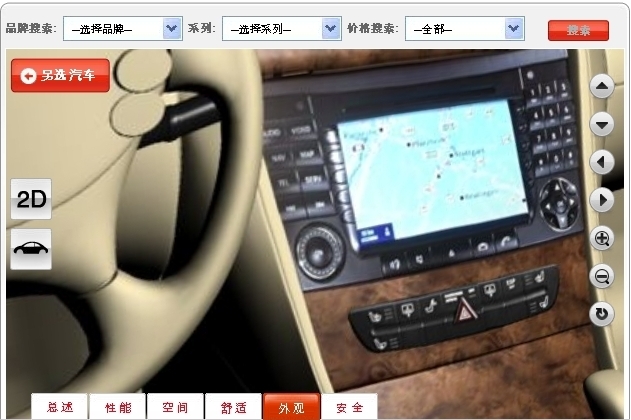 In addition to rich media features, autobild.com.cn also allows users to interact and exchange knowledge and ideas among themselves and with the editors of AUTO BILD China. There are user blogs, personal profiles, friends lists, discussion boards, and of course all the regular content you would expect from a seasoned publication like AUTO BILD: a car database, reviews, hints & tips, articles, and much more. Here’s a few more images. See the action yourself at autobild.com.cn.